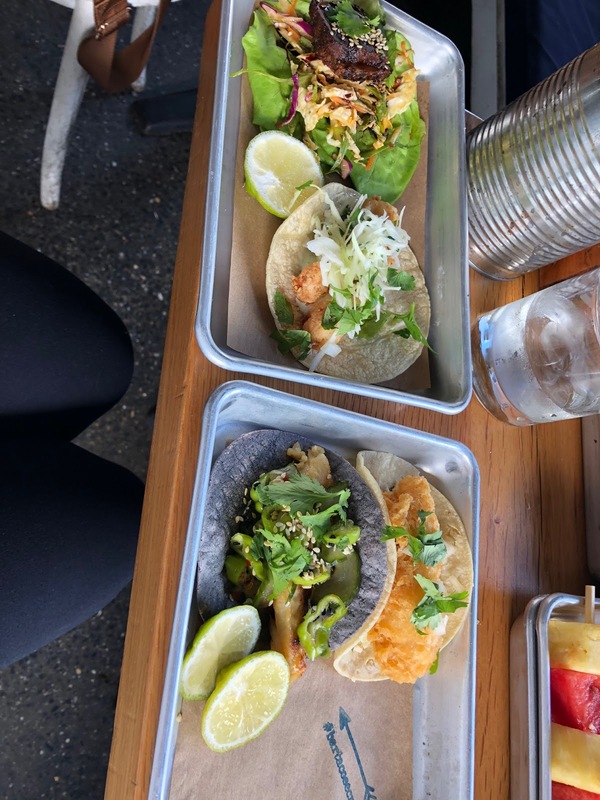 Are you a Bar Taco fan?! If not, you have NO IDEA what you are missing out on. 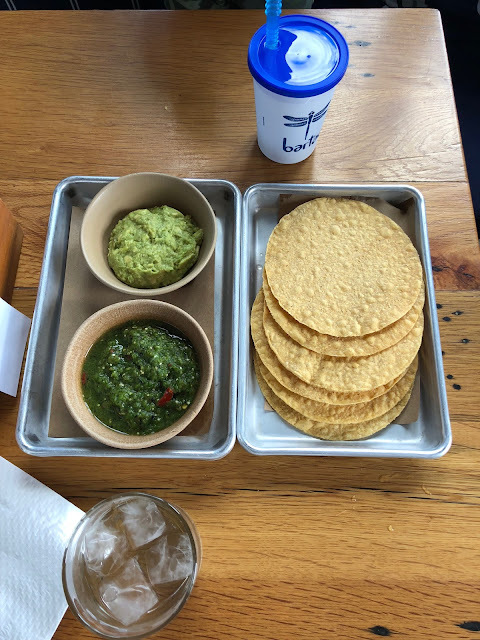 And as a mom of a toddler, I am always incredibly grateful for Bar Taco as they are family-friendly and their staff is exceptional with kids! I learned something new this visit- I can order a kids guac and chips and there's no spice added to it! #winning over here with that! Then I got myself the tomatillo salsa and mixed it for me. Little sticky fingers always has to have one more chip. 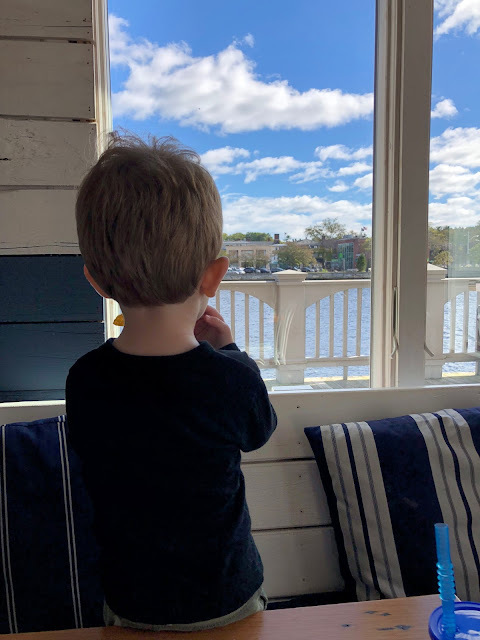 The Bar Taco location in Westport has the BEST views as it's right on the water. Just beware, their parking is minimal so you often have to park across the street then walk. But that view is totally worth it! OK. 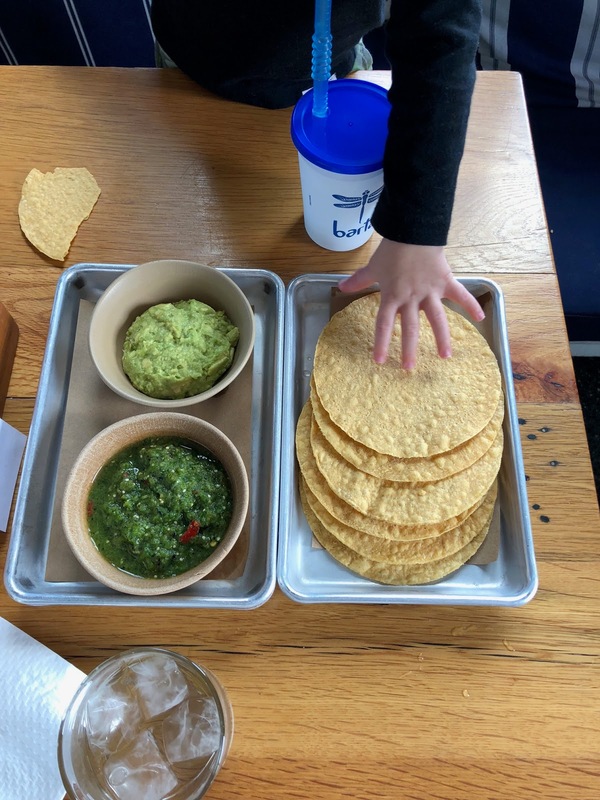 The kids small tray is always more than enough food for more kids. 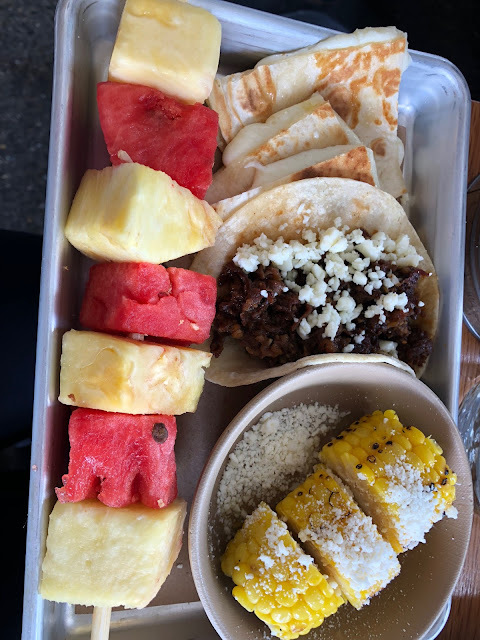 They get a quesadilla, a taco of their choosing, a corn on the cob plus a fruit skewer and drink. WHAT?! And it's only $6. Why do get a happy meal when this meal makes everyone HAPPY! I tend to stick with my one-of-each-method when we go for lunch because I usually end up eating some of his food too! But my favorites are the baja shrimp, the fish, and tuna lettuce wrap. 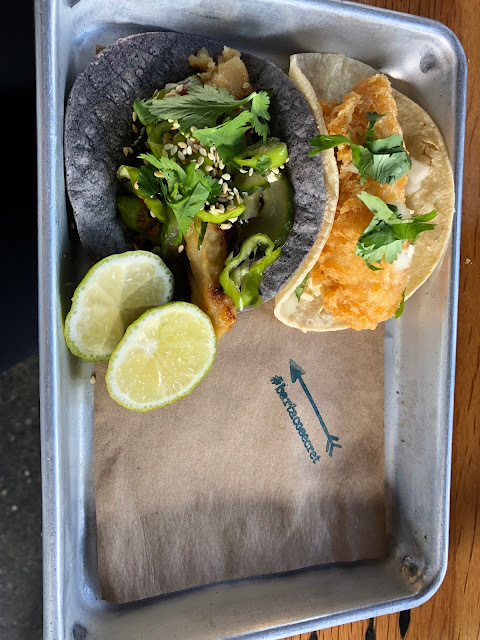 I always try a secret taco and this time it's a marinated cod which is delectable. When we go back in two weeks, because I'm sure it'll happen, I'm getting 4 secret tacos!! 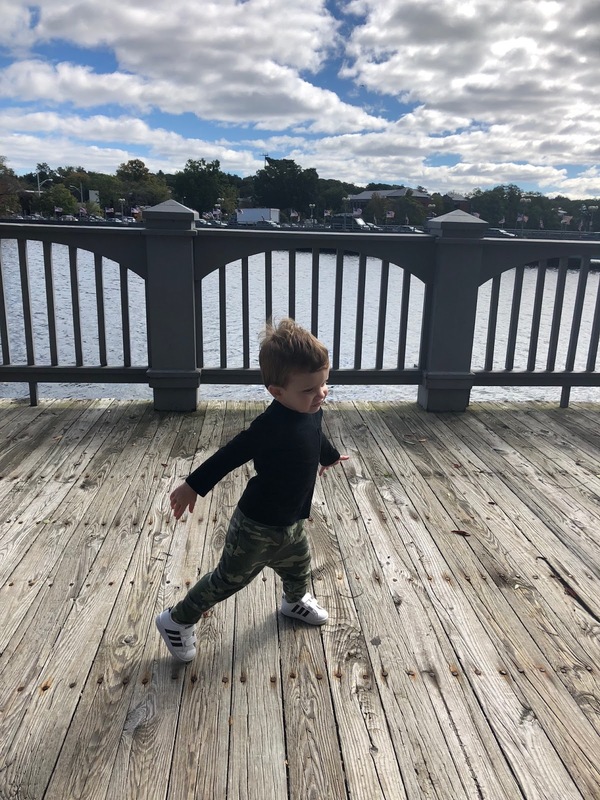 After lunch there, we also take a walk on their little boardwalk. But this week, we had a little dance party. Because, well, why not?! 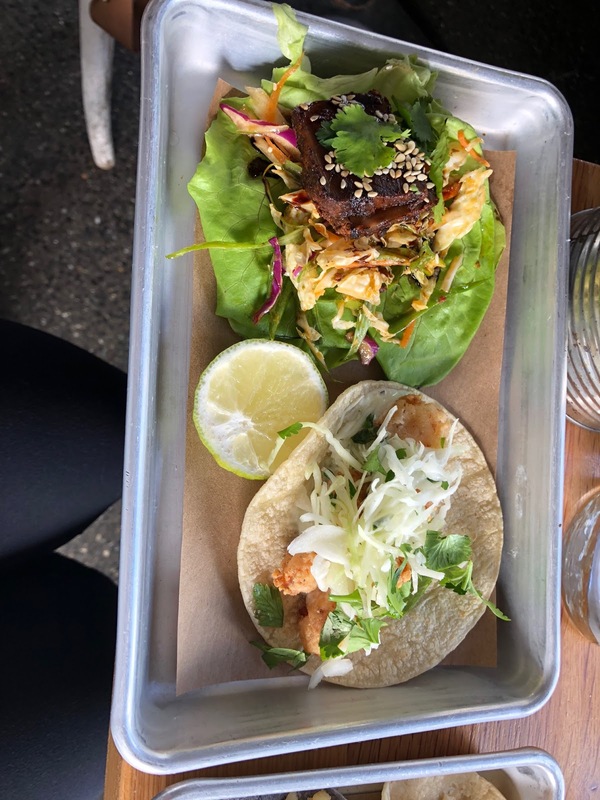 Have you been to Bar Taco yet? !